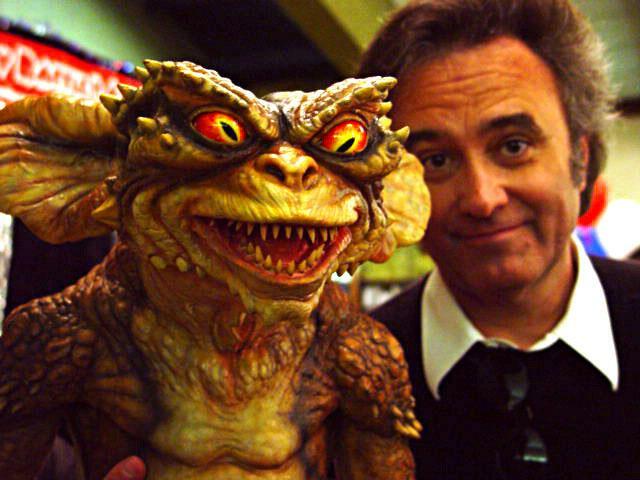 Joe Dante may not be a household name, but some of his films certainly are. Dante got his start in the film industry working for Roger Corman—low-budget B-movie extraordinaire who helped birth the career of many other star and directors, including Martin Scorsese, Francis Ford Coppola, Jack Nicholson and Sylvester Stallone. Along with Corman, his mentor, Dante also drew inspiration from Jean Cocteau—French director of the Orpheus film trilogy—and Chuck Jones—the writer and director of many of the classic Looney Tunes shorts. Dante’s 1978 B-movie horror comedy Piranha—inspired by the 1975 hit Jaws—garnered him the positive attention of Jaws director Steven Spielberg. As a result, Dante was offered a part directing in the 1983 Twilight Zone anthology film alongside George Miller (director of the Mad Max franchise), John Landis (director of The Blues Brothers and National Lampoon’s Animal House) and Spielberg himself. While the film underwhelmed, Spielberg continued to bet on Dante, and the very next year he was vindicated. Dante’s 1984 horror-comedy Gremlins made over $150 million at the box office. His films since have performed only modestly—or worse—financially, but he has nonetheless continued to find a cult following with entertaining and cleverly subversive films like The ‘Burbs, Inner Space and Gremlins 2: The New Batch. Gremlins is Dante’s most commercially successful film for a reason. It blends the genres of horror and comedy seamlessly—as well as making the often-trite Christmastime setting feel fresh. In the film, Billy Peltzer’s father returns from a business trip with a gift. He brings home a creature called a Mogwai, which has three rules: do not get him wet, do not put him in direct sunlight, and do not feed him after midnight. One by one these rules is accidentally broken. 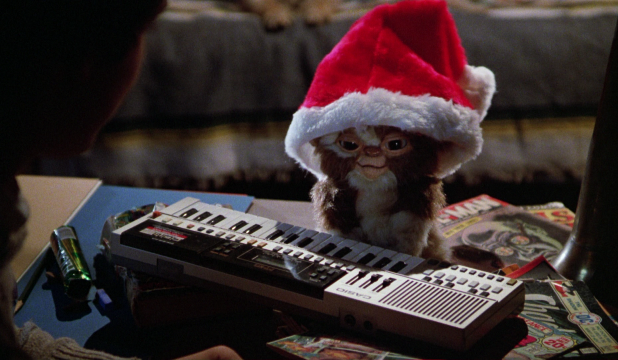 The original loveable Mogwai named Gizmo becomes many evil gremlins—those many terrorize the town. 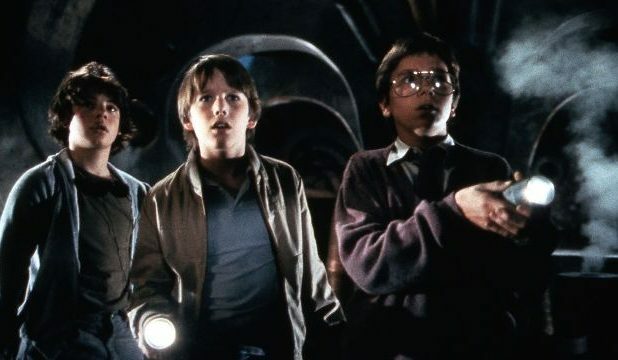 The film is a joy of 1980s cinema and a feat of practical effects that still looks good today. Innerspace is perhaps the strangest film in the buddy cop genre. 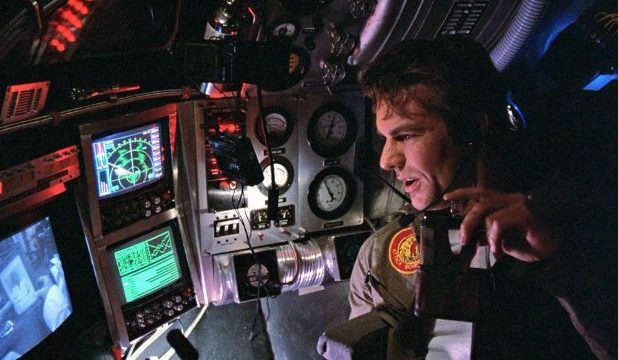 Pilot Tuck Pendleton (Dennis Quaid) is put on a top-secret assignment in which he and a submarine are to be shrunk down to microscopic size. The experiment goes awry when a competing lab tries to violently steal the technology. As a result, Tuck is injected into neurotic grocery store clerk Jack Putter (Martin Short). It is up to Jack, with the help of Tuck’s estranged journalist girlfriend Lydia Maxwell (Meg Ryan) to help track down the technology to bring Tuck back to normal size before he runs out of oxygen. It is a zany, goofy ride from start to finish with an undeniable heart at the center. Gremlins 2: The New Batch, like the eponymous gremlins themselves, is an absolute chaos. Where the original film is a relatively concise, focused story—the sequel is a series of cartoonishly absurd sequences which comment on and poke fun at various aspects of culture; namely consumerism, film criticism and the nature of sequels. The film takes place in the Clamp Center, a fictional New York complex featuring various businesses and restaurants. It and the man for which the building is named, Daniel Clamp, are a parody of real estate tycoon-turned-president Donald Trump. Gizmo finds his way to the complex and once again inadvertently multiplies. Because of a nearby genetics lab, the “new batch” of gremlins are even stranger than the ones that came before them. Gremlins 2 builds off the world created in the first film in an unexpected but nonetheless enjoyable way. The ‘Burbs stars Tom Hanks and Carrie Fisher as Ray and Carol Peterson, a typical suburban couple until Ray—on vacation from work—becomes increasingly suspicious of their strange new neighbors. Antics ensue as he and their interesting cast of neighbors start snooping around the bizarre newcomers. 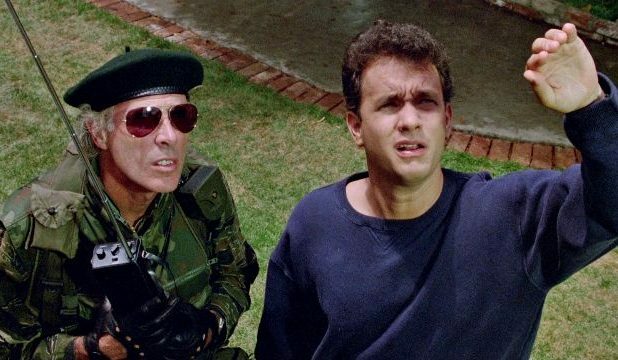 The ‘Burbs is a goofy, campy commentary on suburban life and how it forces one to live in close proximity to complete strangers, some of whom may very well be homicidal. 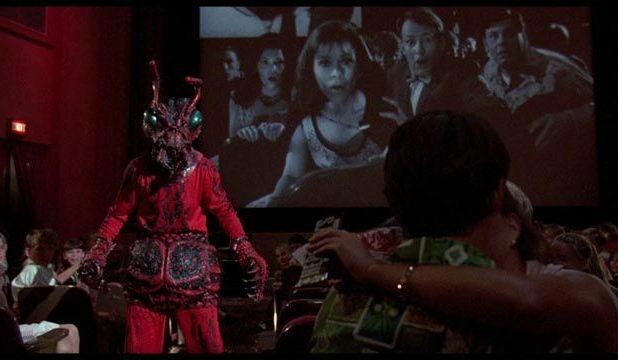 Matinee is Dante’s love letter to the cheesy B-movie cinema he grew up watching. The year is 1962 in Key West, Florida. John Goodman plays low-budget horror film director Lawrence Woolsey. He uses the unfolding Cuban Missile Crisis to drum up excitement for his new film about an irradiated man-ant. This story is intercut with that of young local boys and the girls they hope to woo as the world may very well be coming to an end. The two storylines come together when Woolsey’s film premieres. It is a period piece of sorts, done in the zany style Dante has become known for. Purchase now on Amazon for $22.99. The Howling was a breakout film for Dante. Los Angeles broadcast journalist Karen White finds herself the target of a serial killer. She helps the police catch him. The stress of the affair prompts her therapist to send her to a secluded campsite to help her unwind—but the campsite is not what it seems. The Howling seems to have been largely forgotten, perhaps because it was outperformed by John Landis’ An American Werewolf in London in the same year. 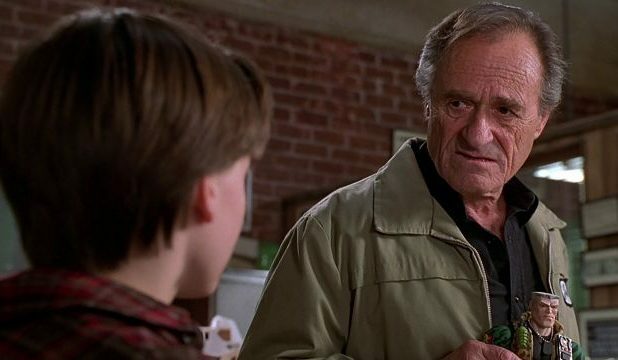 However, it is a quality film in its own right and its modest success resulted in Dante being hired as director of Gremlins a few years later. Purchase now on Amazon for $13.39. Explorers is an adventure film about young boys who have dreams of venturing out into space. They construct a transport from a tilt-a-whirl with the intention of using it to explore the cosmos. It is a feel-good film which heavily features Dante’s obsession with popular culture, and launched the careers of both River Phoenix and Ethan Hawke. Purchase now on Amazon for $29.94. Initially intended to be a follow-up to the 1996 film Space Jam, Dante’s Looney Tunes: Back in Action became something quite different. 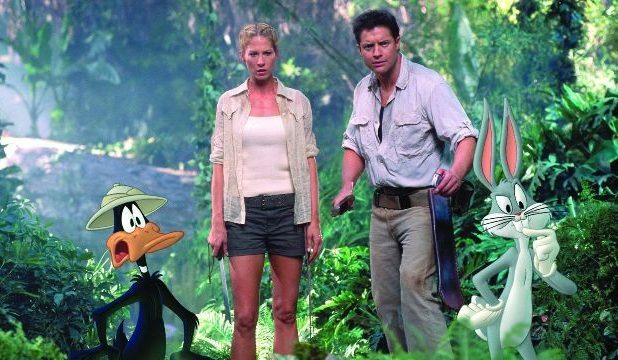 The film stars Brendan Fraser and Jenna Elfman as cohorts to Bugs Bunny and Daffy Duck on an Indiana Jones-meets-Da Vinci Code quest to find a magical artifact. The story is thin, sure, but it features gags from start to finish and is an enjoyable piece for any fan of the Looney Tunes. Purchase now on Amazon for $12.86. 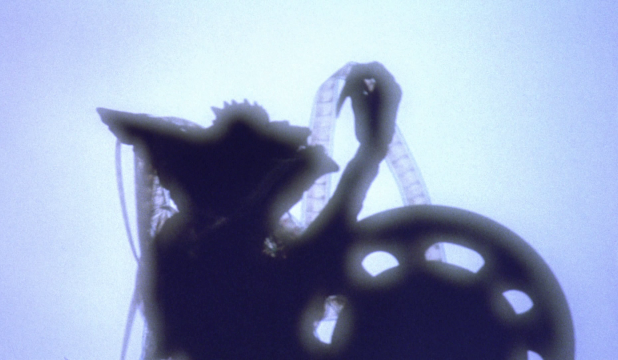 One of Dante’s earliest films, Piranha was a low-budget horror-comedy—one of the many films inspired by the massive success of Spielberg’s Jaws. The story unfolds in a similar but sillier way: some teens break into an abandoned military base and skinny-dipping in its pool and are attacked by something unclear. Skip tracer Maggie McKeown is sent to find them, or at least unravel the mystery of what happened to them. 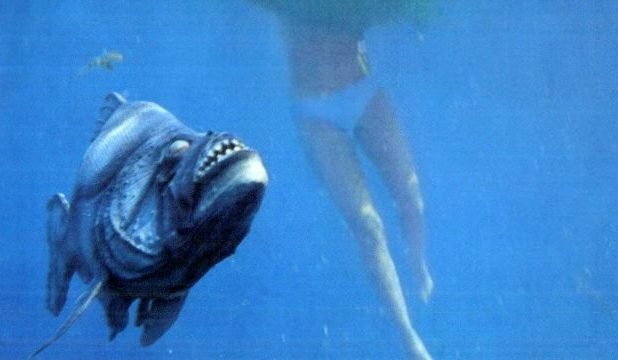 Piranha may be the first Joe Dante films which prominently feature groups of creatures terrorizing a local population—but it was far from the last. Purchase now on Amazon for $18.23. Small Soldiers is a sort of Gremlins-meets-Toy Story film in which a merger between a military contractor and toy developer results in two lines of action figures, both of whom gain sentience through artificial intelligence. The evil toys wreak havoc on a small toy store owner’s family when his son orders them without his father’s permission. Like many of Dante’s films, it is a cult classic and features performances from Kirsten Dunst, Simpsons favorite Phil Hartman, and David Cross in a small role.